Gov. Tim Pawlenty is downplaying warnings that Minnesota's state budget will face a significant deficit over the next three years. Some budget analysts say Minnesota could see a shortfall of between 14 to 22 percent of the total budget, but Pawlenty has said the situation is manageable. In July, Gov. Pawlenty erased a $2.7 billion budget deficit by cutting spending, shifting payments and using one-time money. The action solved the budget problem over the short-term but didn't fix it over the long-term. The state department of Management and Budget, reports that the two-year budget starting in July of 2011, is projected to come up $4.4 billion short. Some, like State Economist Tom Stinson, worry the problem will continue. "We are unlikely, very unlikely, to grow our way out of the problem," Stinson said. Stinson said there are several factors in play. He said a struggling economy, globalization and an aging population that will rely on more government services will keep the state in tough budget times. "The problem is more than an accounting problem," he said. "We face a fiscal 'Catch-22' that has important implications beyond narrow state government concerns." Stinson won't release any budget specifics until November, but it appears that Democrats in control of the Legislature and Republican Gov. Tim Pawlenty are already trying to frame the debate. Pawlenty is downplaying any talk that the state faces significant budget problems. "I think anybody who tries to tell you they know what the economy is going to do four to five years from now is likely to be wrong," Pawlenty said. Pawlenty said predictions made by the Legislature's nonpartisan fiscal staff that the budget shortfall could be a record breaking $7 billion in 2012 and 2013 are overblown. He said those predictions include inflation, which is not factored into budget forecasts, and the restoration of all of the spending he cut unilaterally. He also said paying back a school payment shift all at once, rather than in installments, is unlikely. "If the next governor is willing to stand up and behind these unallotments and hold government spending at the rate of growth in the private economy or lower -- in other words, don't artificially inflate it and pay back the school payment shifts like we have always in the past, it's a very manageable number," Pawlenty said. "It's dramatically smaller than they're saying and it's in line with the rest of the country." The governor even disagrees with his own budget department saying its estimate assumes that the entire school shift gets paid back at once. Pawlenty isn't the only Republican who is downplaying the problem. Republican Senate Majority Leader Dave Senjem of Rochester said he doesn't believe suggestions that the state can't grow its way out of the problem. State Rep. Marty Seifert of Marshall said he thinks the budget deficit will be half of what state finance officials are currently projecting. "I certainly would agree that if you take all of the variables and supersize it from a government perspective, it is a multibillion-dollar problem," Seifert said. "If you take it down and look at it from a conservative perspective, you're at a billion and a half, which is very manageable." The governor and state lawmakers don't have to take immediate action to fix the state's next budget cycle. State law only requires that the books are balanced at the end of the current biennium. But the stakes are huge for both Democrats and Republicans. With an open governor's seat and every legislative seat on the ballot in 2010, the budget and the economy will be dominant issues during the campaign. 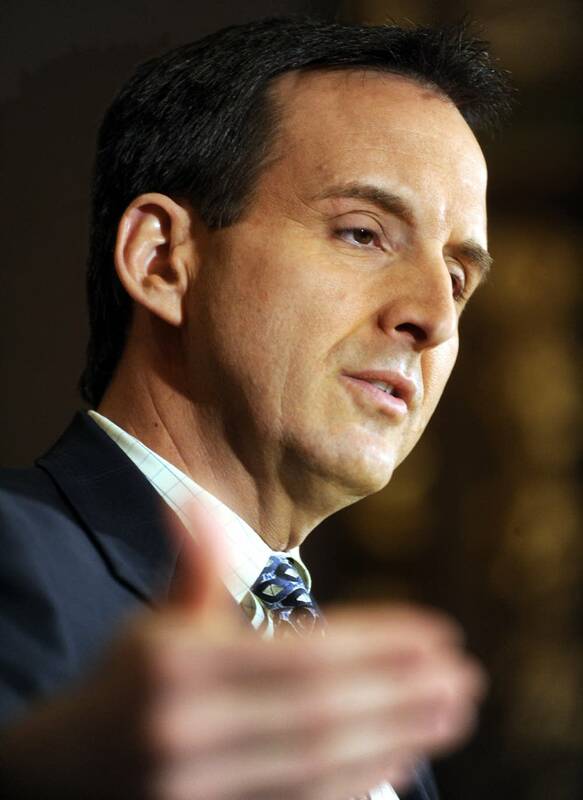 The state's fiscal condition could also impact Pawlenty's decision to run for president in 2012. DFL Senate Majority Leader Larry Pogemiller said Pawlenty is downplaying the issue because he doesn't want to appear to have left a problem for his successor. "It clearly is not good news if you're trying to speak on a national stage, that you didn't really complete the job that you currently have in a constructive, positive manner," Pogemiller said. "Leaving the office that he's been in for eight years with a significant structural state deficit, I think does not speak well to his managerial task that he performed." Even though Pogemiller would like to fix the state's structural deficit during the upcoming legislative session, it may be a difficult task. DFLers in the Legslature and Pawlenty have been at odds over taxes and spending since 2003. The next session begins on February 4.